The webpage is back now. Thanks if you gave me $$cash money$$ for a PS4. I’ll play Arkham Knight many times. Or something. We’ll go back to doing nothing now. Bye bye. GG has been dead since Code Geass R2 ended. Get over it already. 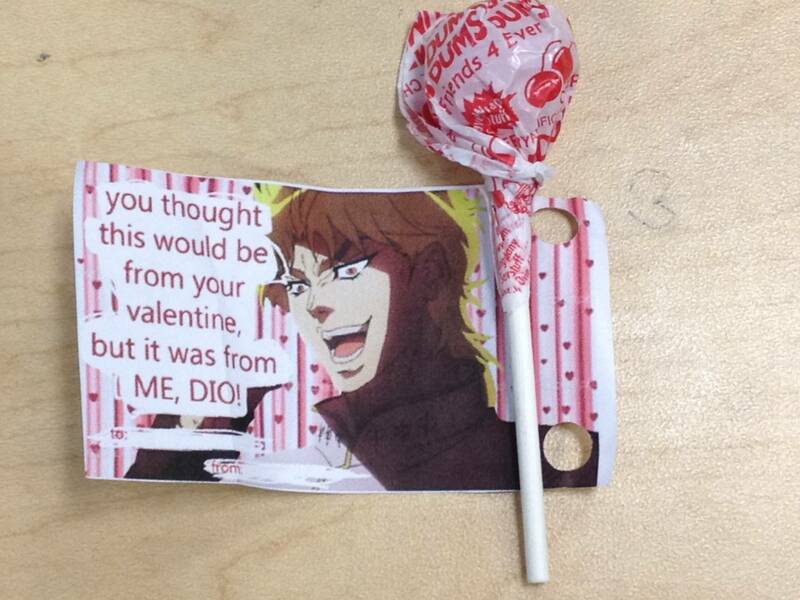 No, we aren’t subbing Jojo. The translator for s1 (who did most of the work) disappeared after it ended. Posted on April 4, 2014 Author herkzCategories News71 Comments on No, we aren’t subbing Jojo. I also accept App Store gift card codes. As last time, our friends at Sekai Project is trying to help this project get greenlit as well. If you’re interested, please show your support and vote for it on Steam. Thanks! Help out The Future of Visual Novels and vote for Narcissu on Steam Greenlight! Well, we’re trying our best to get back on track, which we’ll probably do in the foreseeable future. What happened was that our editor’s grandmother passed away, so he hasn’t been online for the past week or so, presumably due to what happened. As usual, watch Crunchyroll/HorribleSubs if you can’t wait for us to sort ourselves out. Translator is teaching kids English this week, and the backup translator is sleeping over at my place (it’s his birthday). Therefore, this episode will be delayed till either tomorrow or Monday when vale is catches up with everything he delayed. If you can’t wait, no worries. Head over to HorribleSubs or Crunchyhroll and you can watch it from them! Hi everyone. 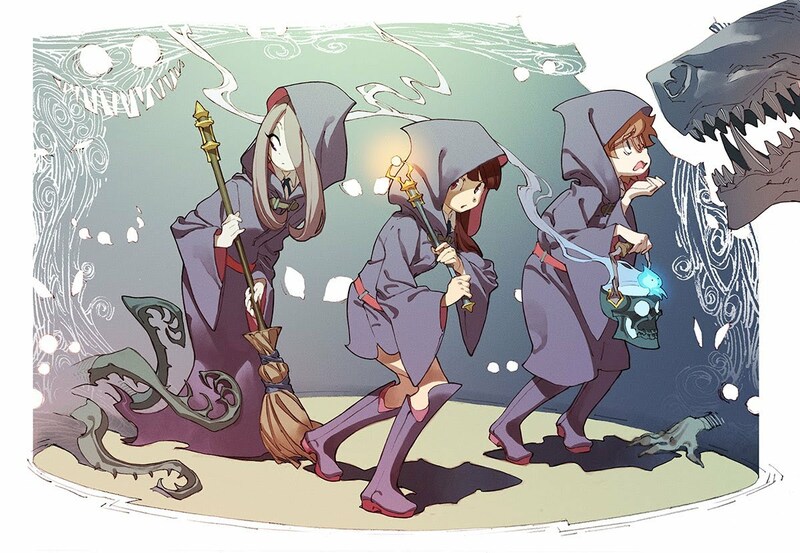 A few months ago we subbed the Anime Mirai 2013 project Little Witch Academia by studio Trigger. As Trigger later posted Little Witch Academia on YouTube with subtitles due to buzz from the fansub, we are obviously very egotistical and self-important people. Anyway, recently at Anime Expo, Trigger expressed interest in making a second episode of Little Witch Academia and a Kickstarter has been created to fund it. If you have a minimum of $1 to spare and enjoyed Little Witch Academia (and know how to press buttons on Kickstarter), we encourage you to donate. The next episode of Aku no Hana (episode 12) will be delayed until American Monday as the translator is out of town for the weekend. We apologize in advance for any inconvenience caused. Hey you there, anime watcher. Are you bored with nothing to watch? Can you figure out what British people are saying? (Unlike Dez… who had to watch Dr Who with Brazilian subtitles?) Try watching Broadchurch. Yeah. Hi everyone. I want to make a video series called “Tropes vs Women in Anime”. It will be a series of 25min long videos where I parrot things from feminist scholars, read off TV Tropes, and re-word Wikipedia pages (such as the entry on “Damsel in Distress”). It will be shot with me and a green screen with some random semi-relevant anime clips spliced in-between. However, this will be a very big project, so I’m going to need $160,000 to make all of these videos. Please donate ASAP. All $50 donators and above will also receive special “GG Fansubs” stickers featuring Mio Akiyama with her bass in a boys’ school uniform. Hello. I am currently getting drunk to prepare for Moonrise Kingdom inevitably losing Best Original Screenplay at the Oscars. After it loses, I will do both Jojo and Magi, but I’m like 90lb so “getting drunk” for me is like “taking one sip”. Magi will be out after my interview tomorrow. I know you don’t care that I have an interview, but I care, and it’s more important to me than fansubbing. If you don’t like that fansubbing isn’t a job to me and is actually my lowest priority activity, then you can start paying me. Right now. Btw, we’re going to have an experiment in March called “disable commenting”. Oh, and I would like to make something clear: As far as I’m concerned, I’m not “delaying” anything. I prioritize fansubbing dead last, and I’m still doing that. Nothing comes out at the same time every week, nor is it “supposed” to come out at certain times, nor is there a “schedule” that we stick to. Hi there you have it – Akito BDs. The BDs came with official English subs btw. Edit: Btw, I finished Sasami a while ago. Everything else is at netorare. There’s a Blue Exorcist movie. You haven’t been on IRC for a month. Are you coming back, or did Boba Fett and The Bride finally team up and kill you? The “Aired: December 28th” date on MAL is the date the movie came out in Japanese theaters, not the day it was released on BluRay/DVD. The BD/DVD release hasn’t been announced yet. Yes we are obviously planning to sub it. No it won’t be out the same day the BD/DVD comes out. Yes it will be a billion GB. It’s a movie. No there will be no 480p. We don’t care about your toaster.